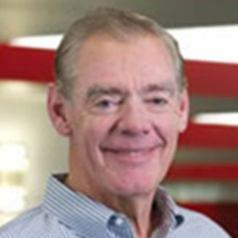 Jack McGrory began his second career with Price Entities in September 1997. He is CEO of La Jolla MJ Management, LLC, a real estate investment company. Mr. McGrory served as City Manager of the City of San Diego from March 1991 through August 1997. He worked for the City of San Diego for twenty-three years. Jack McGrory assumed the position of President and Chief Executive Officer of Price Enterprises, Inc. on September 2, 1997. He oversaw the sale of that company in November 1999. From 1999 to 2000 Jack was Chief Operating Officer of the San Diego Padres and President of the subsidiary responsible for building Petco Park and the adjacent commercial development. Jack was Manager of The Price Group from 2001-2009. The Group was a co-investor with CALPERS in more than $1 billion in residential development and was a co-investor in Trans West Housing which built approximately 2,000 houses in the Coachella Valley and North San Diego County. He was also a Director and Executive Vice President of PriceSmart, Inc., from 2001 until 2009. Jack also served as President of the La Jolla High School Facilities Expansion Foundation and UCSD Board of Overseers and is presently serving on the USS Midway Museum Foundation Board of Directors, YMCA Board of Directors, Chairman of the Campanile Foundation Board, SDSU, President of the Mainly Mozart Board of Directors, the Board of Visitors, USD Law School, and the National Advisory Council for Teach For America. Jack is currently a Lecturer in the School of Public Affairs, College of Professional Studies and Fine Arts at San Diego State University and serves as a Lecturer in the Urban Studies and Planning Program at the University of California, San Diego. Jack McGrory graduated from Colgate University with a Bachelor of Arts Degree and received his Master's Degree in Public Administration from San Diego State University. He earned his Law Degree from the University of San Diego and is a member of the State Bar of California.